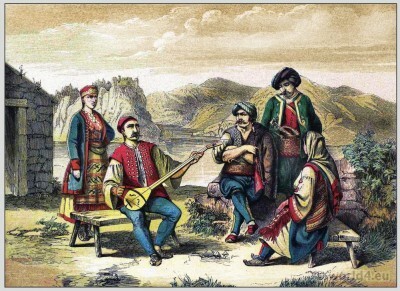 Dalmatian folk costumes. Morlakian peoples. Home » Dalmatian folk costumes. Morlakian peoples. Traditional ethnic costumes of Maurowalachen, Dalmatian folk costumes. This entry was posted in 1850, 19th Century, Traditional on 4/19/13 by world4.